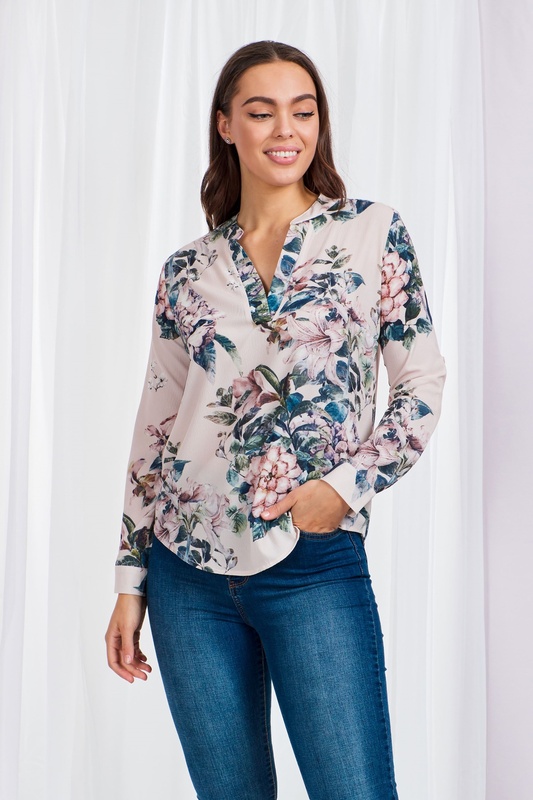 Add this elegant blouse to your wardrobe. 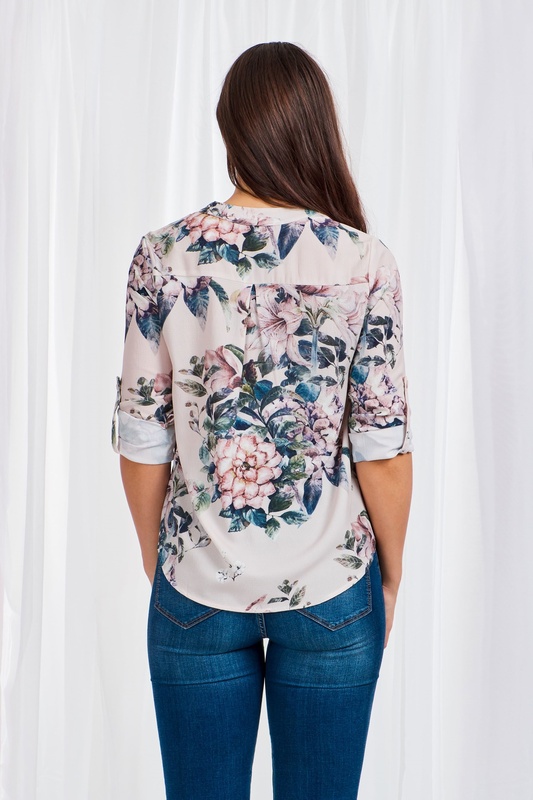 This shirt features a unique floral prints. 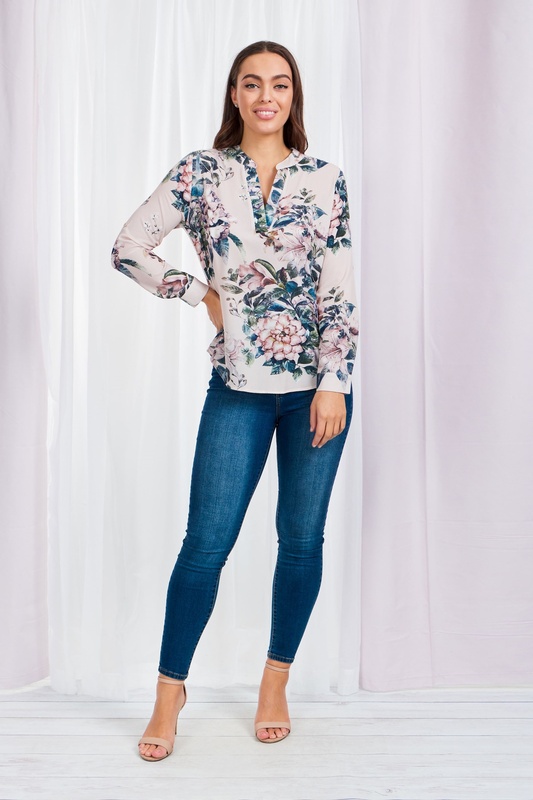 Complete the look with high waisted jeans and heels for a casual daytime look.